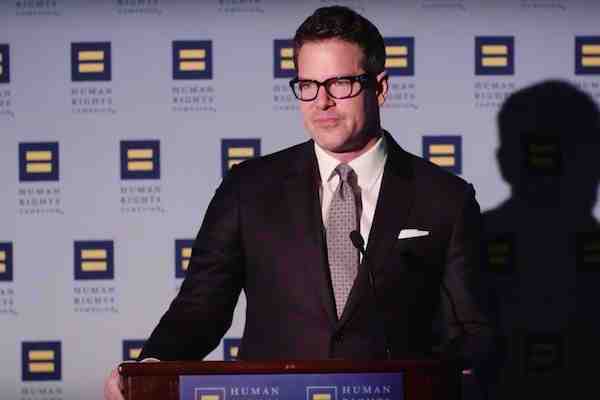 In accepting an award on Saturday, out journalist Thomas Roberts announced that he would donate earnings from hosting the Miss Universe competition in Russia to the Human Rights Campaign (HRC), the nation's largest LGBT rights advocate. HRC honored Roberts with its Leadership & Visibility Award at its Maryland Summit. The former MSNBC anchor hosted the Miss Universe pageant in 2013 in Moscow. At the time, Russia had just approved a law which prohibits “gay propaganda” to minors, and Roberts, who came out gay in 2006 and married in 2012, was criticized for taking the job. Before heading to Moscow, Roberts said that he wanted to co-host the pageant “partly because it is a huge, visible opportunity for LGBT people. Everywhere.” Roberts also criticized the law while on the show's red carpet, calling it discriminatory. On Saturday, Roberts said that he was donating his $25,000 fee to HRC.